X-Mirage is a Mac App developed by X-Mirage. 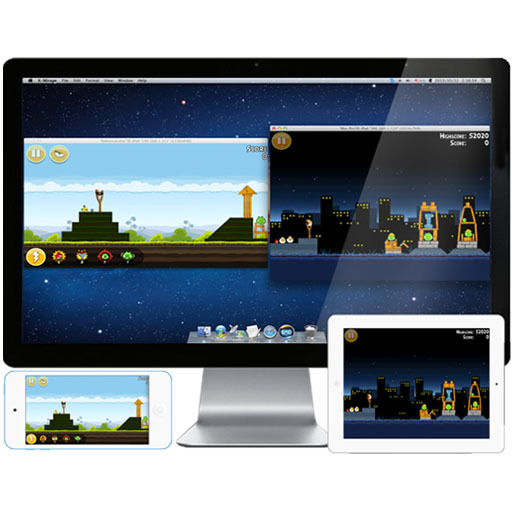 This Mac App is used for mirroring your iOS devices to your Mac. “But my iOS device already has AirPlay,” you say. “Why do I need X-Mirage on top of that?” Well, readers, let me explain why…because X-Mirage has a ton of features that Airplay alone can’t beat. When you use X-Mirage, all iOS devices using the same Wi-Fi can be mirrored to a Mac with custom screen dimensions…and full screen is supported. One thing that’s awesome about X-Mirage is the ability to share the screen with two iOS devices. 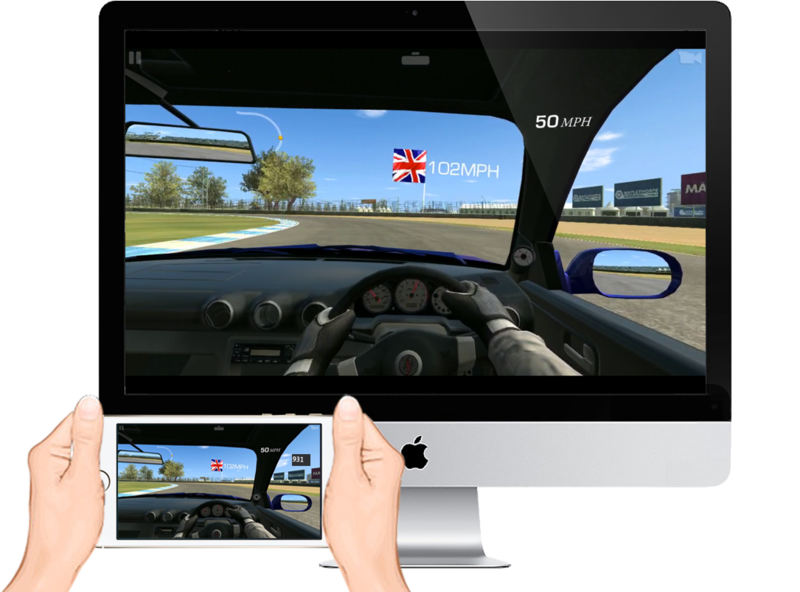 This means you can play an iOS game on your Mac’s monitor with a friend, and see both screens at once. Suddenly, your iPhone game is on a screen that’s big enough to use for a party! You can also use X-Mirage to record what’s happening on your iOS screen. 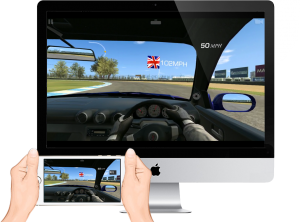 This makes the app ideal for recording FaceTime conversations or prepping play thru videos of your favorite mobile games. X-Mirage boasts a great user forum for sharing ideas or reporting bugs in the app, as well as a FAQ for troubleshooting common issues. This sense of community takes a solid app and makes it even better. The interface is really elegant and clean, and this app is just a joy to use. Just turn on AirPlay, select the X-Mirage option, turn on mirroring, and you’re good to go. There’s very little noticeable lag between what you do on your iOS device and what you see on your Mac’s screen. I did experience a couple of instances where the Mac mirroring froze, however, so bear in mind that can happen. Overall, however, I was very pleased with the quality of the experience. Whether you’re a gamer, a teacher, or a busy professional in need of a presentation tool, X-Mirage has got you covered. Bottom line: this app is definitely worth getting your hands on. X-Miragerequires Snow Leopard (OS X 10.6.x) or higher (Lion, Mountain Lion and Mavericks).